Updating your Earlsfield property with replacement windows and doors can transform the appearance, comfort and security of your home. 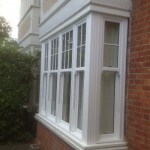 We are one of the premier window installation companies working in Earlsfield, Summerstown and the nearby areas of London and Surrey. We understand that if you are living in a period property you will want your new sash windows to be in keeping with the property’s history. If done correctly, however, your new windows will dramatically increase the value of your property and add a new lease of life to your home. Our vertical sliding sash window range combines elegance of traditional sash windows with the benefits of modern materials. Our sliding windows will never rot, warp or require repainting; ensuring they will always retain their glossy appearance over the years with minimum of maintenance. Expert security features and advanced energy and weather performance combine to ensure your windows will last for many years to come. Call us to discover more on 0208 542 2233. 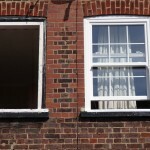 Should you invest in triple glazed sashes for your Earlsfield home? Our windows are one of the most important features of our home. They can improve the aesthetics of our properties and allow for a number of practical purposes, keeping us warm, reducing our energy bills and insulating us against outside noise. 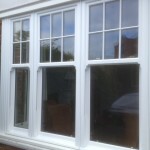 What is triple glazing? Triple glazing refers to units that use three panes of glass sandwiches together. This is a follow-on from double-glazing, which uses two panes. 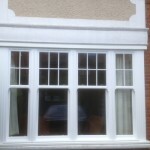 Triple glazing, therefore, offers even more energy efficiency and insulation than ever before. We offer triple glazed sashes that will keep your home warm and shut out from the elements and will bring you big savings on your energy bills. They also achieve superior noise reduction compared to double glazing so if noise is an issue for you, triple-glazing is an excellent investment. 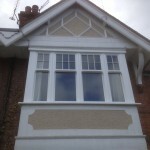 Why choose us for your sash windows in Earlsfield? Excellent quality: At Merton Windows, we use only the best products available on the market from some of the UK’s most trusted window manufacturers. We are so confident in their durability, that we offer a 10-year guarantee. Superior security: All our windows use the latest security technology to deter burglars. 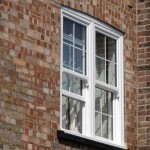 An expansive range: We offer a huge range of window styles and designs, including sash windows, timber windows, aluminium windows and uPVC windows, all made to your exact requirements. We’re local: Based in Merton, we are local to you and one of our experienced consultants will be more than happy to come and visit your property and give you a free quote.